You may think a cough is a pain as you have already suffered a lot for it. But a cough is an automatic reflex produced by your immune system to protect your lungs. Coughing manages to clear your breath ways of lung irritation from greasy matter such as mucus. 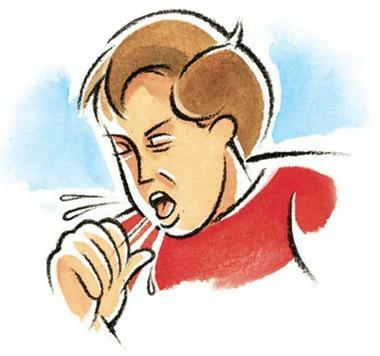 A cough also helps the patient to prevent an infection. However, coughing also can be occurred due to other medical problem. 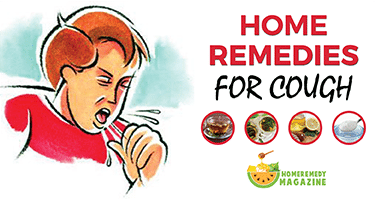 The following home remedies for a cough will help you to fight against coughing. Coughing also can be occurred due to some other disease such as Chronic Bronchitis, Asthma, Gastroesophageal reflux disease, cold fever, flu, etc. Even, taking blood pressure drugs for a long time can also produce a cough. So it does not matter for which background your cough is occurring, the following natural home remedies for cough will help you to fight against coughing. A mixture of ginger and peppermint may not taste great, but it is effective than any other cough syrup that is available on the market. Cut ginger into small pieces and pour it into a pot that also contains 4 ounces of water. Boil the solution in low heat. Add peppermint now. Continue the boiling process in low simmer until the solution gets reduced by half. Then allow the solution to be cold after that pour it into a bottle. Drink the solution with a tablespoon, 3 to 4 times a week. Do not forget to keep the bottle in the refrigerator. This solution can only work for three weeks. Licorice Root is a very effective home remedy for a cough as it allows the patient to soothe the airways by thinning the mucus. Boil the water in a pot, then put licorice root into it. Drink the entire cup for two times a day. Gargling with salt water is an effective method for a soothing cough; this is why the method has been considered in the top home remedies for cough. Mix the salt into the boiling water. Take a sip from the mixture, gargle it for 15 to 20 seconds; spit the solution. Repeat the process until the pot gets empty. Taking steam is one of the best effective methods that count in natural cough remedies list. It will help you to fight against a dry or a runny cough. Not only that, but the process will also help a patient to deal with congestion or cold fever. Take a big heatproof bowl and pour enough boiling water into it. Allow the water for slightly cool down for 30 to 60 seconds. Pour essential oil into it. Now take the vapor from the bowl. Remember the heat of it can burn your face, so do it from a comfortable distance and cover your head with the towel. Do this for 5 to 10 minutes 3 to 4 times a day. Generally, thyme is used for respiratory sickness. According to a study, the combination of thyme herb and ivy leaves can help relieve bronchitis with a productive cough. Thyme has the natural ability to fight against a cough. The result of drinking thyme tea will help you to feel comfortable to fight with coughing. Take a pot of 8 ounces fresh boiling water and pour the dry thyme into it. Stir the solution for 5 to 10 minutes. You can also add lemon or honey into it, not only for making the taste better but also for using their anti-coughing properties. Drink the tea hot, and repeat the process for 2 to 3 times a day. That is the most useful remedy for a common cough. According to a study of 2007, honey can relieve common coughs more effectively than over-the-counter cough syrups that contain DP(dextromethorphan), a cough suppressant. Hot drinks with honey can relieve a common cough, it will help you to ease the chest pain you may be experiencing. That also help to soothe your throat. A glass of warm milk/water or herbal tea or lemon tea. Take 2 tablespoons of honey and mixed it with warm milk/water or herbal tea. Try to drink it before going to sleep for best results. There is a variety of cold remedy for a variety of ages. Children get coughs far more than adults. 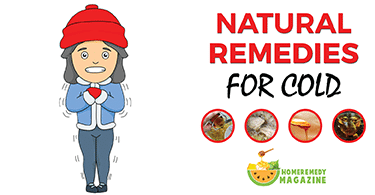 Here’s a look at some common Natural cough remedies for different ages. kIds are suggested to Drink Honey during coughing. Parents can also raise their baby’s head during sleeping with an extra pillow. It will help them to breathe easily. Having a cough attack during the night-time is more painful than a nightmare. Parents need to make tea with honey during that period. It will allow your baby to relax a while. Parents also need to prepare their bed clean, as your child may have an attack of coughing due to the dust allergy. You can give a half teaspoon of honey to your 1 to 5 years old child. But do not give your child a single drop of honey if your baby is younger than one year. You can also give them tomato soup or high protein vegetable soup, as they are very effective natural home remedies for cough. 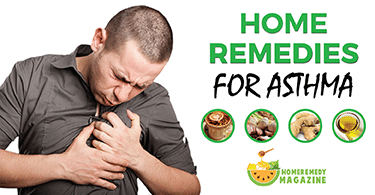 Adults can try any things from the above list of home remedies for cough. A pregnant lady needs to drink warm water and tea during coughing, or they can also gargle with salt water for easing their sore throat. Mum breastfeeder can try any of the natural cough remedies that are mentioned above. Meanwhile, they need to take enough rest and eat healthily. Do not smoke a cigarette during coughing. Try to stay hydrated by drinking more water. You may not feel like eating, but you have to eat healthy high protein food. Drink hot drinks such as tea, soup, etc. as much as possible. Take a steam bath as well as use Humidifier in your room. Coughing is very natural and common diseases that happen to everyone several times a year. But if you feel like you are a victim of coughing for a long time, then visiting your general physician is suggested.